The transition to a fully outsourced invoice service was much smoother than expected. Cleardata have been a pleasure to work with. The staff spend less time scanning and more time on key AP tasks. We selected Cleardata due to their impressive reputation in managing medical records storage and scanning services for NHS Trusts. Our business is built on quality of service and impeccable trust. We pride ourselves on our accreditations, including ISO9001, ISO27001, BS 10008:2014, BS EN 15713 & Cyber Essentials . We’re a data protection act registered business and our team are fully Disclosure checked. 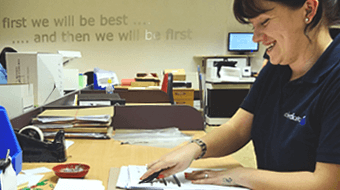 Cleardata is one of the largest scanning bureaus in the UK and is committed to document security. Cleardata offers Document Scanning Services and Document Management Solutions throughout the UK, accredited to ISO27001 for information security. We offer managed services and solutions to help businesses go paperless, save valuable office space, automate manual processes and reduce business costs. We have one of the largest scanning bureaus in the UK and are proud to be one of the first companies in our industry to be certified to BS 10008:2014, The Evidential Weight and Legal Admissibility standard. We have a team of document experts who can examine your existing paper processes and provide a paperless solution to transform the way data comes in and out of your business. Our team keep up to date with the latest technology and can propose a variety of digital solutions e.g. digital mail room services, bulk document scanning services, secure document storage, intelligent data capture, invoice processing and cloud document management systems. Our document scanning and document management solutions can help you securely manage any type of information or content. We can help you automate your paper processes, using clever software to provide data capture, workflow and efficient processing for your information. 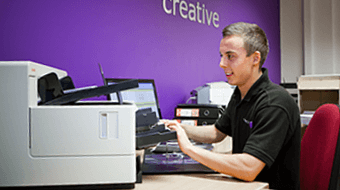 At the heart of our business is our document scanning services bureau, capturing over 3 million images per month. We’ve invested in the latest scanning equipment to provide high quality images, intelligent data capture technology and also offer a 200% quality checking promise. We’re an approved Kodak partner and can help you choose the right scanners for your business, based on our extensive experience. We’ve literally built our business on security and document protection to provide compliant managed document services. Our bespoke archive storage and scanning bureau have been designed with early smoke detection alert systems, enhanced security alarm systems, temperature control and 24 hour CCTV. 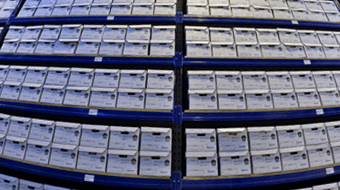 Our secure document storage services are available throughout the UK, and offer secure storage with fast digital retrieval, thanks to our onsite bureau. Clients include the NHS, Local Authority, Finance and Pharmaceutical companies. Our premises have been checked and approved by many organisations and meet the highest levels of compliance. For further details about any of our document scanning services and document management solutions please call 0800 046 8081. We thrive off finding savings for all sorts of companies. Let us help you too!